We’re all about putting together outfits worthy of a second take, but sometimes it feels like we’ve used up all our tips and tricks. 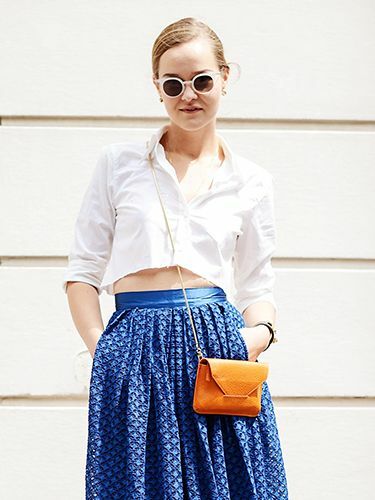 Luckily, the slew of stylish women on the streets keeps our sartorial wells from running dry. If you’re in need of fresh ways to make your outfit more interesting, we suggest you peruse today’s slideshow for 12 new ideas. 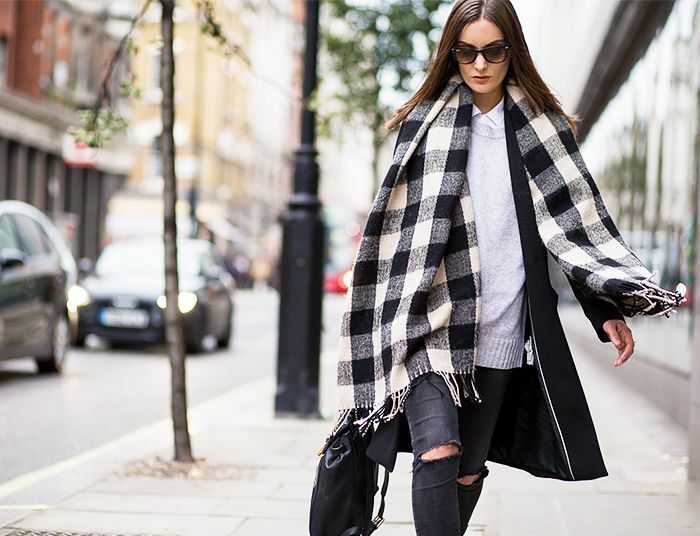 If you haven’t discovered the heaven that is a blanket scarf, we suggest you invest in this cosy piece ASAP. Snag one in a buffalo-check print for added effect. Pick a scarf that complements your eye colour for a truly standout look. Swap out your everyday black blazer for a wintery white one in an elongated silhouette. Wear a wool vest with preppy pieces, like a crisp button-down shirt and pleated miniskirt. Wear a bold midi dress with a cool leather jacket for an editor-approved outfit. Need we say more? These bags are perfect for the fashionable gal on the go. If you need ideas for how to tie your scarf, we suggest these 15. Which looks would you try? Share in the comments!